Engel & Völkers Florida is pleased to announce it's progress with Evolve Social, an artificial intelligence powered digital listing advertising solution launched in partnership with Adfenix in Q4 2018. Evolve Social is quickly becoming the secret ingredient to further increasing digital property marketing campaign reach for clients. Engel & Völkers Florida first partnered with global digital advertising platform Adfenix, which specializes in the niche market of digital real estate marketing, to create the Evolve Social solution for their agents and customers. Evolve Social is already exceeding anticipated results for the Engel & Völkers Florida team. The average number of ad viewers wanting to find out more about the property and taking the step of viewing the full listing on their website is a staggering 17.3-percent. This represents an average of 624 additional potential buyers who are investing in viewing each property listing after exposure to the advertising campaign on either Facebook or Instagram. Facebook’s recorded data on the return of real estate advertising globally sits at just 1-percent, which suggests that Evolve Social averages nearly 17-times greater than the comparative results for standard agent-created campaigns. These consistently great results from the platform are not random events. The Evolve Social ad audiences across Facebook and Instagram are pre-determined by the Adfenix platform using a combination of artificial intelligence, machine learning and human quality control. Each ad is vetted by a digital advertising expert before publication to ensure all aspects meet the high standard expected by the Engel & Völkers Florida team. 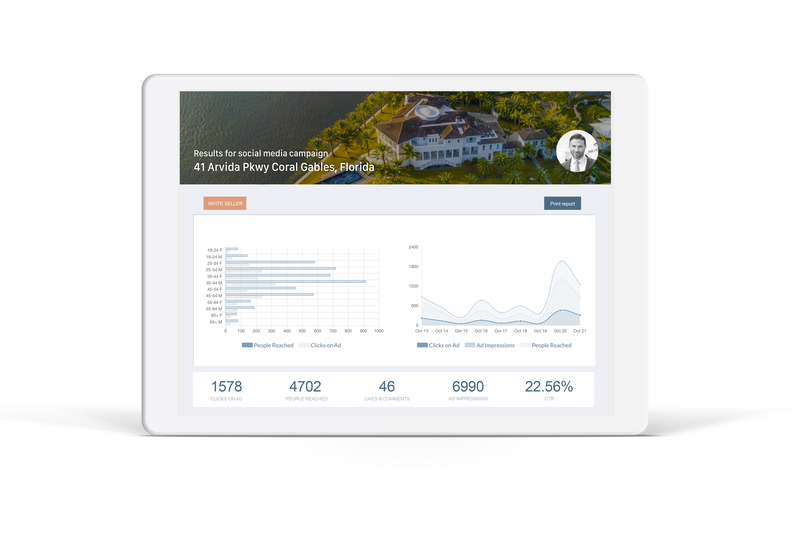 Real-time audiences that are unique to each property type are created for every digital listing advertisement and refined during the campaign process. “The fact is there is a finite number of people interested in any one particular property. 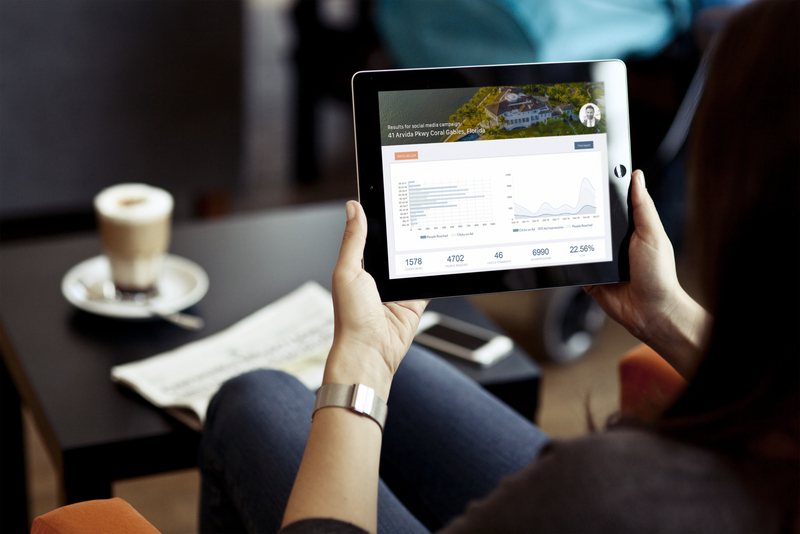 Being able to narrow the target based on the specific data we analyse ensures the campaign’s success. This process is unique to the Adfenix platform in the real estate market. The foresight of the Engel & Völkers Florida management team in recognizing the value of building smaller audiences of approximately 4,000 for each campaign who we can pre-determine as ‘interested’ is key to the Evolve Social campaign results we are seeing. Biggest isn’t always best when it comes to effective data advertising,” explained Philip Hegge, Adfenix US Director. Engel & Völkers Florida brokers and agents can access the solution for their sellers by reaching out to their dedicated contact at Adfenix. Founded in 2014 and headquartered in Gothenburg, Sweden, Adfenix is a global proptech company and recognised leader in targeted digital property and agent marketing solutions. Utilizing artificial intelligence (AI) our social media marketing products achieve average success results 13x higher than the industry standard. Adfenix has partnerships with over 2,000 individual brokerages across 13 countries, including the US, UK, Australia, Scandinavia and France. Growing 300%+ per year, Adfenix was awarded the prestigious honour of being names Swedish Startup Team of the Year in 2017. Engel & Völkers is a global luxury real estate brand. Founded in Hamburg, Germany in 1977, Engel & Völkers draws on its rich European history to deliver a fresh approach to luxury real estate in the Americas with a focus on creating a bespoke, white-glove concierge client experience at every stage of the home buying or selling process for today’s savvy homeowner. Engel & Völkers currently operates approximately 150 shop locations with over 3,000 real estate advisors in the Americas, contributing to the brand’s global network of over 11,000 real estate professionals in more than 30 countries, offering both private and institutional clients a professionally tailored range of luxury services, including real estate, yachting and aviation. Committed to exceptional service, Engel & Völkers supports its advisors with an array of premium quality business services; marketing programs and platforms; as well as access to its global network of real estate professionals, property listings and market data. Each brokerage is independently owned and operated. For more information, visit http://www.evusa.com. Engel & Völkers Florida is the Master License Partner of the global luxury real estate brand Engel & Völkers in the state of Florida. Recognized for uniquely recruiting, training and equipping some of the top professionals in the real estate industry, Engel & Völkers Florida’s exclusive franchise model positions its license partners at the top of the premium market to gain market share and support their bottom line. The company represents franchise locations in: 30A Beaches, Belleair, Boca Raton, Bonita Springs-Estero, Cape Coral, Clermont, Delray Beach, Destin, Fort Lauderdale, Jacksonville Beach, Jupiter, Madeira Beach, Marco Island, Melbourne, Melbourne Central, Miami-Coral Gables, Olde Naples, Orlando-Winter Park, Palm Beach, South Tampa, St. Pete, Stuart, Wellington, and Windermere. Engel & Völkers Florida is continuing to strategically strengthen and expand its presence in premium real estate markets across the state of Florida. If you would like to know more about the Engel & Völkers brand or how to join its global network, which is known for demonstrating competence, exclusivity and passion, feel free to call our corporate office, located at 633 Tamiami Trl N, Suite 201, Naples, FL 34102 USA. Tel: +1 239-348-9000.